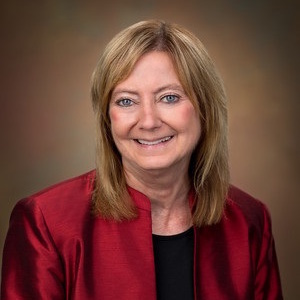 Alexa Posny has almost four decades of experience in education, from classroom teacher to chief state school officer to assistant secretary of the Office of Special Education and Rehabilitative Services (OSERS) in the United States Department of Education (ED). Alexa was most recently the senior vice president of state and federal programs for Renaissance Learning. As assistant secretary of OSERS, Alexa played a pivotal role in policy and management issues affecting special education and rehabilitative services across the country. She also served as the principal adviser to the secretary of education on all matters related to special education. Prior to arriving at ED, Alexa served as the commissioner of education for the Kansas State Department of Education (KSDE), director of the Office of Special Education Programs for ED, deputy commissioner of education at KSDE, state director of special education at KSDE, and the director of special education for the Shawnee Mission School District in Overland Park, KS. Prior to that, she was the director of the curriculum and instruction specialty option as part of the Title 1 Technical Assistance Center (TAC) network and a senior research associate at Research and Training Associates in Overland Park, KS. Alexa has also served on the board of directors for the Council of Chief State School Officers and the National Council for Learning Disabilities and chaired the National Assessment Governing Board’s Special Education Task Force.